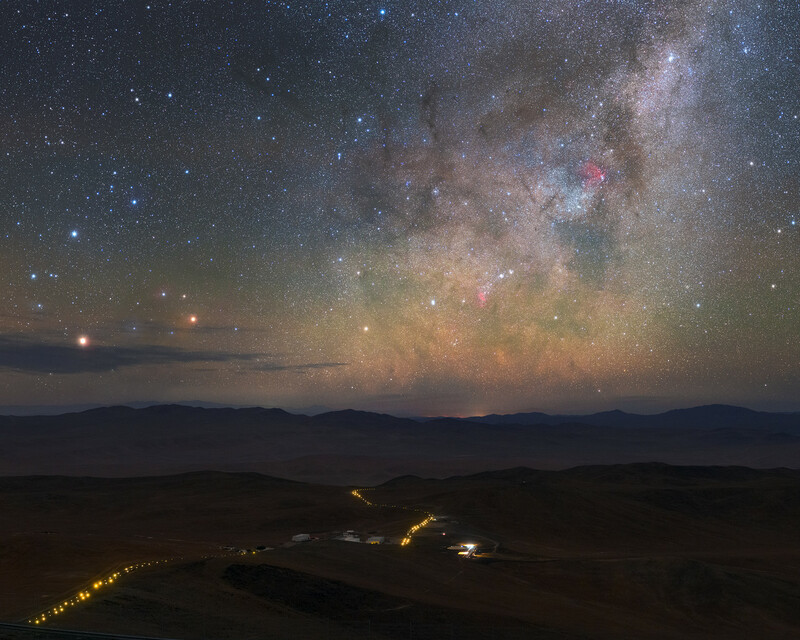 A star-strewn nighttime sky hangs over the Chilean landscape in this captivating photograph. 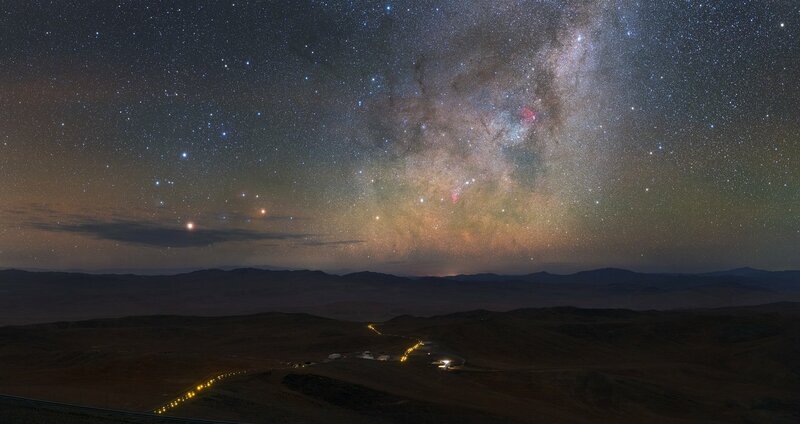 A broken line of yellow lights weave their way across the dark rolling hills below. 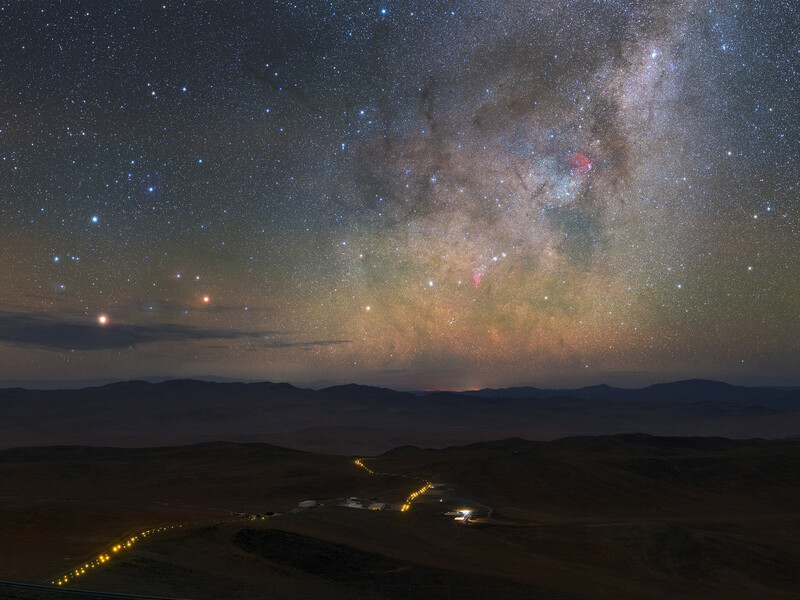 These marks the route between ESO’s Paranal Observatory, situated atop Cerro Paranal, and the Residencia, the home-from-home for astronomers, technicians and other staff working at the observatory. Designed to provide a cool refuge against the harsh conditions of the Atacama desert, the Residencia is set into a natural hollow and blends perfectly into its arid surroundings. As well as offices and rooms for visiting astronomers, this desert refuge contains a verdant garden and swimming pool set beneath a 35-m wide glass-covered dome. As befits any building near an astronomical observatory, the Residencia is designed to minimise light pollution and to preserve the exceptionally dark skies above Paranal. 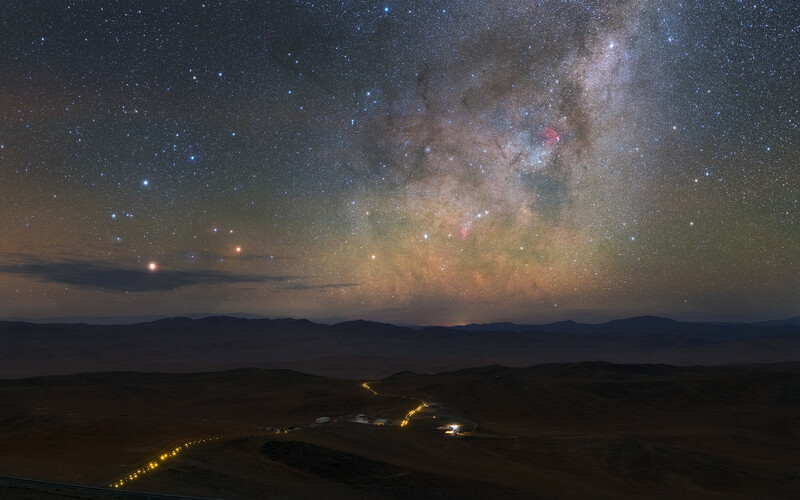 This image was taken by astrophotographer and ESO Photo Ambassador Petr Horálek. A long-time collaborator with ESO, Petr loves photographing rare night-sky phenomena and beautiful and naturally dark night skies across the world — such as the ones at Paranal.